If you own a Moto X 1st Gen, and you need the Android 5.0 Lollipop upgrade, we are here to help you. Motorola has been quite fast if we speak about providing updates to their smartphones and their Moto X is not an exception, however they have announced Android 5.0 Lollipop upgrade for Moto X 2nd Gen, but what about Moto X 1st Gen? 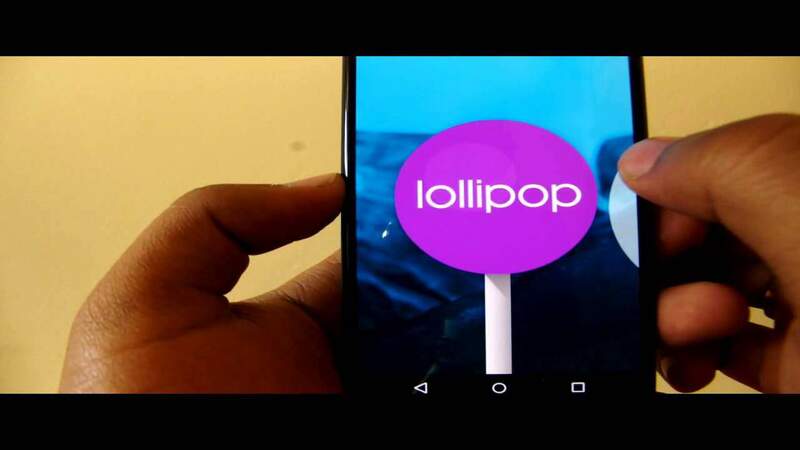 We are here to help you to install Android Lollipop on Moto X 1st Gen. Just follow the instructions below and you will successfully upgrade your phone, however all thanks to our Editor Kedarinath Talisetty who experimented a lot with Moto X many times, and finally made the video tutorial also, just follow the guide and video tutorial to install Android Lollipop on Moto X 1st Gen. Let’s get started. Before you start, take a look at the video and you can watch it for reference. NOTE: This is not official ROM ,this is CyanogenMod 12 based Lollipop (unofficial) for Moto X. You will have great experience of Lollipop on your moto X.
a) Make sure you have Recovery flashed on your Moto X, we have used Clockworkmod-touch-6.0.4.8. Once you have flashed the recovery, press volume down and power button and release, you will enter the custom recovery. b) In the custom recovery menu, you can navigate using the volume up button and the volume down button will be used for selecting an option. c) Now select the 3rd option which will be used to wipe data, just select it and confirm. It will erease all user data on your phone. d) After your data has been wiped, the main menu will show up, now select ‘install from zip’ and navigate to the folder where you have saved the file CM-12-20141117-unofficial-ghost and install from it. That’s all. The phone will reboot and it may take a few seconds on the first boot and you will see the CyanogenMod logo on the boot screen, just unlock the screen, go to menu, developer options and you can check everything. Your Moto X 1st Gen has been upgraded to Android 5.0 Lollipop. We have also, added the video tutorial for your convenience so that you don’t face any problems while upgrading. Hope, you won’t find this too hard and will install Android Lollipop on your Moto X 1st Gen soon. If this has helped you to install Android Lollipop on Moto X 1st Gen, please feel free to share this with other Moto X users via Facebook, Twitter or Google+. Also, if you have any doubts or face any problems, you can comment down below and we will try to catch you up as soon as possible.